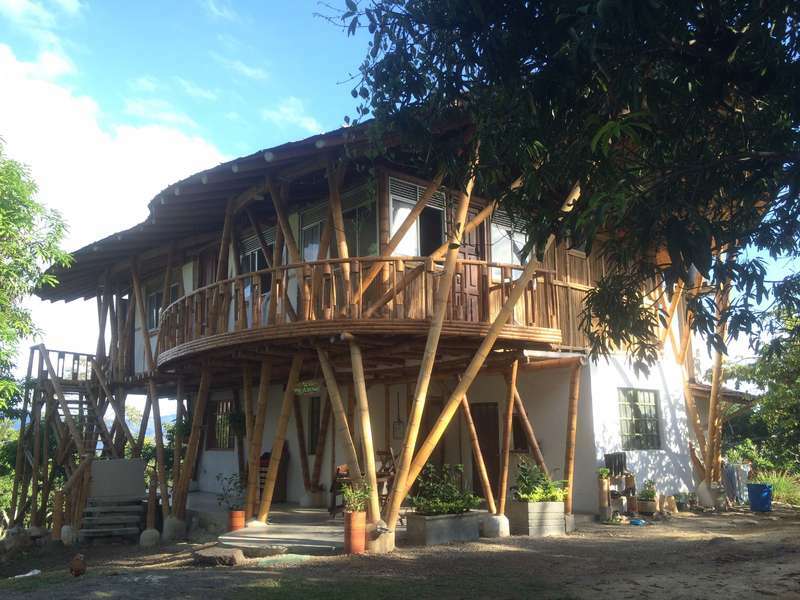 We live on a beautiful farm 80 km from Bogota, in a bamboo house in the middle of a mango plantation. It's really a paradise! The weather is perfect year-round (15 ºC to 30 ºC), there are lots of tropical fruits and several rivers a short walking distance from our farm. Over time, after hosting over 300 amazing volunteers we realised that what we really offer is more then "just" a farm experience. we offer the opportunity to experience an alternative life style for the modern rat race. an alternative where abundance is created by the the creative power of mind and heart combined together. where knowledge, support and resources are to be shared generously. we do our best to contribute to the local underprivileged community in this beautiful part of Colombia and we surly feel embraced by them in return. Our goal is to continue developing our project keeping in mind the conservation and empowerment of the native habitat and at the same time to help develop our surrounding, leading and taking part in meaningful projects related to education, agriculture, conservation work, animal care, construction, and more. We eat healthy, practice yoga and capoeira. There's much to be done, as far as the imagination goes. we feel blessed and inspired to make the difference even in small daily things . 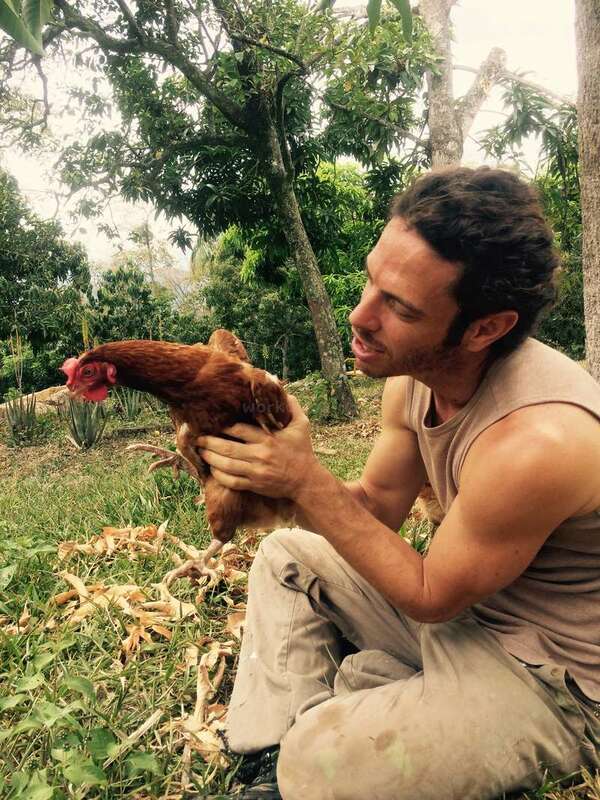 You could learn Spanish, permaculture practices, working with animals, gardening, building, cooking, landscaping, working with locals and people from all over the world, and much much more! If you join us, you can expect to help in the vegetable garden, the orchard, land work, construction, painting, art projects, web design etc. We try to fit the tasks to each person to make your time here as interesting as possible whilst keeping in mind the farm's needs too. You may also teach English to the community and run fun activities for the kids from our nearby school . we host a weekly organic agriculture class for free for the local community as part of our effort to introduce sustainable and chemical free agriculture and to cultivate and ecologically consensus community. in this class we tend to visit and work on neighbours farms . We have a separate floor with 2 rooms for volunteers. One room has a bunk bed with shelves, and the other room has 3 beds and a closet. There is a shared toilet and shower. Sheets, a blanket and mosquito nets are provided. We serve 3 vegetarian meals a day cooked by an amazing chef. 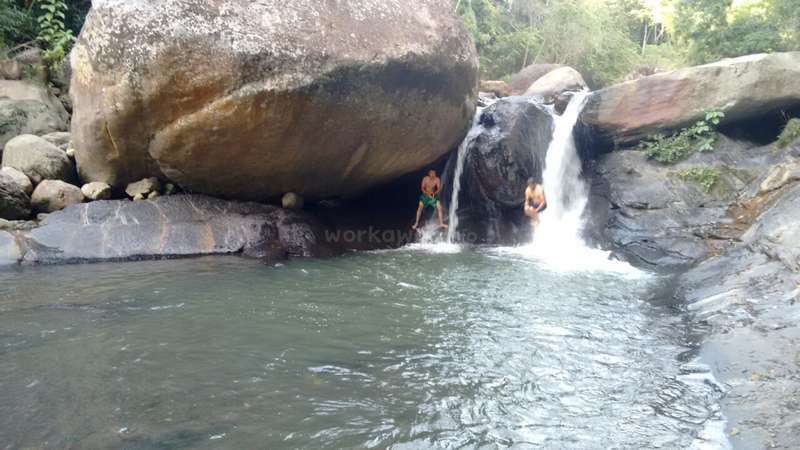 During your time off you can go hiking, river swimming (depends on the season) or simply chill out in a hammock. The near-by village (15 min) has shops, restaurants, bars and dancing places. Thank you so much for your comment. It was amazing having you. We appreciate very much your sense of responsibility and your willingness and ability to learn new things. As this was my first workaway experience I was a little bit nervous coming....turns out, I left with a little peace of my heart at the farm. Eyal and Nathalie have really created a beautiful project. The house is clean and well kept, the work is varied, the schedule and tasks are clear which makes your stay easy and wonderful! Most of all, you can… read more feel that everything has been done with such right intentions which is (in my mind) what makes this place so magical. We highly recommend you for other hosts for being a hard worker, fast learner and responsible guy. mucha suerte y gracias por todo ! Great experience with Eyal and Natalia. I spent two weeks on the farm with them. They are a inspirational couple with a lot of drive to see their projects come to fruition. However, they're super cool to hang out with whether it be playing cards and just having a chat with them. Their farm was surrounded by amazing natures and they have… read more loveliest animals. It was the perfect place to relax and had the best sunset in Colombia. The accommodation is very clean, the vegetarian meals are delicious from Sara and the work was varied with something new to do everyday. The yoga classes in the morning were great for anyone thinking of getting into yoga (like me). I highly recommend for anyone to come here if you're looking for a place to take life at a slower pace. Matt and lara were awesome to host. 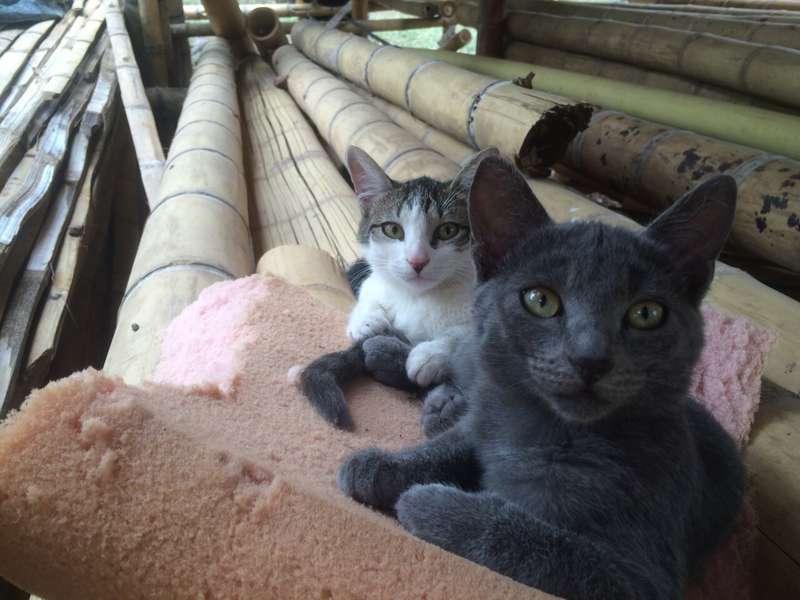 they where very helpful and did a big variety of tasks such as building a stone path, trimming trees, picking mangos, taking care of the animals, weeding, pulp making, and many more things they were also excellent company for playing cards and hanging out. all the best in your future… read more adventures! Not sure where to start! We spent two weeks on Eyal and Natalia’s farm and it was incredible. Eyal and Natalia are full of amazing energy and were always such a great presence to be around. During our time on the farm we did an array of tasks, from gardening, building a stone path, cooking, painting bamboo and so much more. During our off time we… read more basked in the sun by a near by river and enjoyed the nightlife in the town. We’re going to miss being graced by beautiful sunsets and great vibes all day. Thanks for an amazing time Eyal and Natalia. 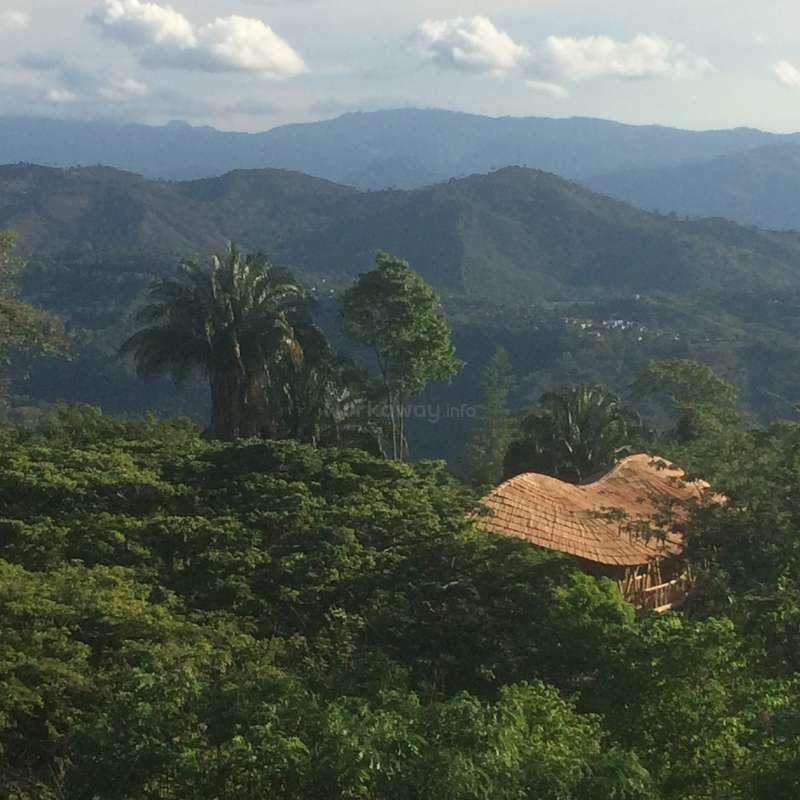 If you’re thinking of doing a Workaway in Colombia, this is the one. Sam and Rebeca stayed with us for Two weeks ,it was really Nice to have them around. lo mejor en su camino !!! What a lovely time we had on this finca. We stayed for three weeks and felt at home in this guadua paradise. 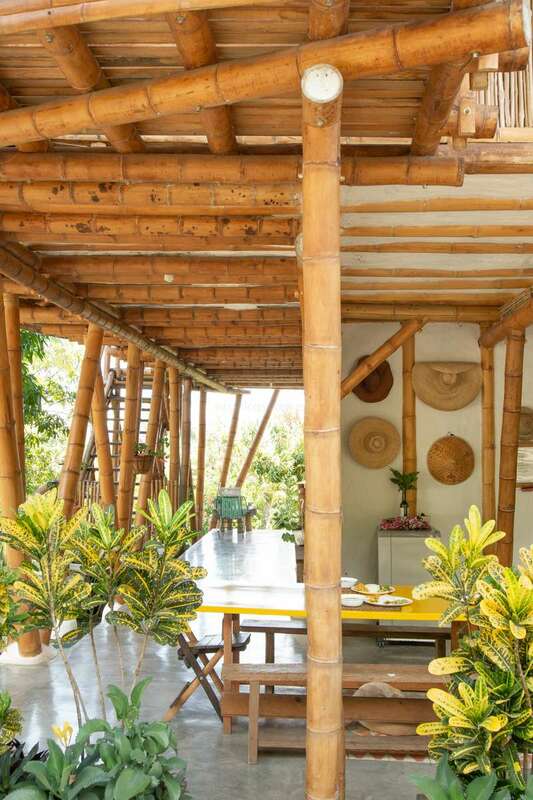 We are so fortunate that our first Workaway was such a great fit, as we arrived just in time to contribute design ideas and help with the construction of two new bamboo cabañas. We also enjoyed caring for the animals, pulping mangos, and… read more building the stone path. Eyal and Natalia make a great team, each with their own energy and style. 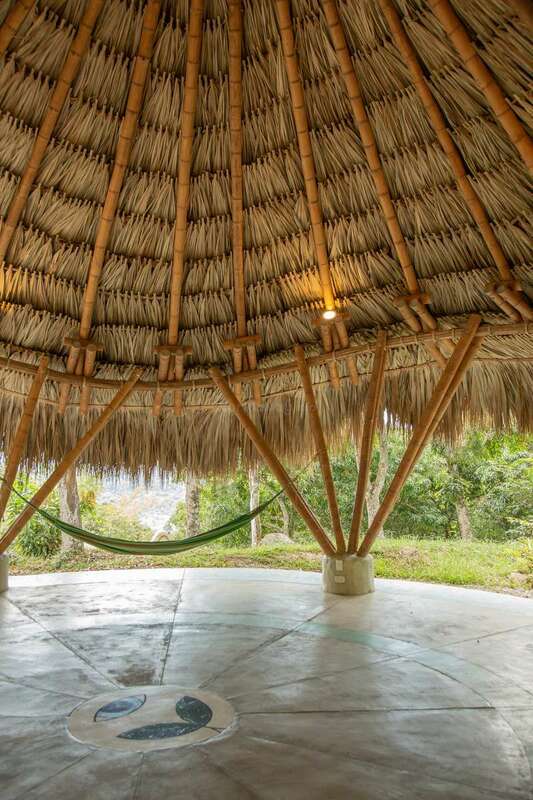 They have put a lot of thought into the volunteer experience and it is easy to settle into the structure of morning yoga, projects, delicious shared meals, evening card games, and group cooking on the weekends after a trip to Anapoima for empanadas and salpicón. We're leaving with many fond memories. Bel and Florian stayed with us for 1 month and they where excellent! they were also excellent company for playing cards, cooking and dancing salsa and bachata!!! First, we want to thank Natalaya, Eyal and Sara for showing us some great Colombian hospitality! 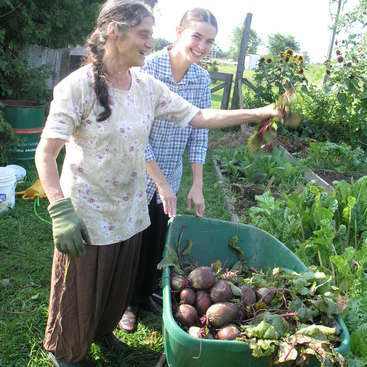 They are very friendly, positive and open-minded people who made us feel very welcome at their farm. But we realised that it was more than farm work that we signed up for! It was a great opportunity to experience a different kind… read more of living (and a different kind of delicicous food, thanks to Sara!) more in tune with ourselves, other people and nature. We learnt so much during our month there and will never forget Margarita, Manolo, Lola, Rastastas, Luchi, Chula and the chickens! The work required was diverse and Natalaya, very organised and happy to teach how things work, always made sure it was suitable with our skills: building a stone path, collecting mangoes for the compost, gardening, guadañaing (you'll find out what it is when you get there ^^), general maintenance of the farm, construction, care of the animals, making organic pesticides were some of the exciting tasks we learnt! We also engaged with the local community by visiting another farm with an agronomist to assess some trees that developed illnesses, going to an eco-park with some neighbours where we learnt about the local fauna, flora and craftsmanships, setting up Christmas decorations and taking part in Christmas celebrations at the local school. A priceless experience that we can only recommend! Thanks guys! We hope we can see you again in the future! We hope you're doing well and highly recommend you to anyone on this platform. First workaway experience- just awesome!! The work at the farm is very divers, never gets boring. Its cool to be able to bring your own ideas, because Natalia and Eyal are very open-minded people, and appreciate that. 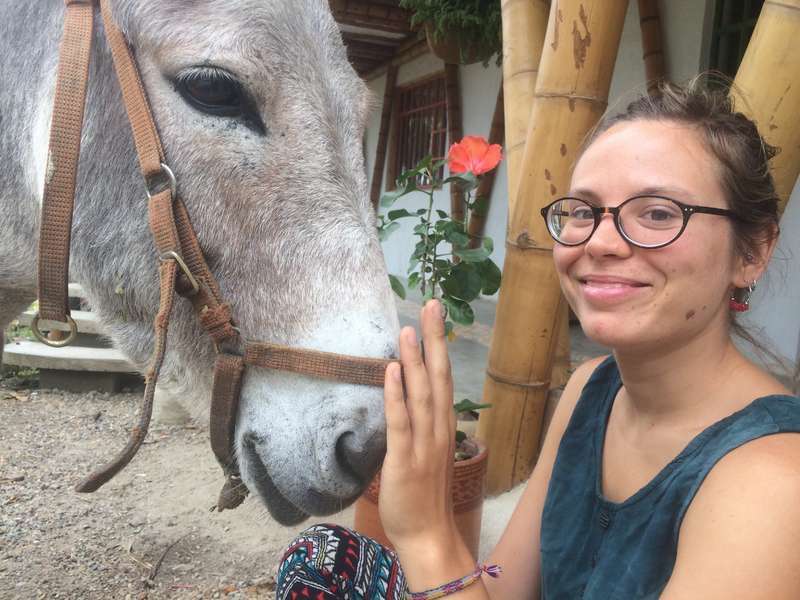 You cant help but fall in love… read more with Margarita, the lovely non-stop mango eating donkey. For anyone thinking about staying on this farm, you absolutely must. Eyal and Natalia are incredible hosts - they’re both so full of magic and generosity, and I feel blessed to have had my first Workaway experience here in September (so sorry for the ridiculous delay in writing this!). Even though I only stayed for two weeks, the memories I have… read more from my stay here are definite highlights from a five month journey through South America. I learned so much about myself as well as learning about the practical side of farm work, and because there’s so much to do here you have a huge opportunity as a workawayer to help with a variety of things. Highlights for me include learning about permaculture in the weekly organised sessions where the local community of farmers meet to learn/discuss a certain topic, as well as learning a bit of capoeira with Eyal. Sara also cooks the most delicious meals, and she’s an absolutely wonderful person! 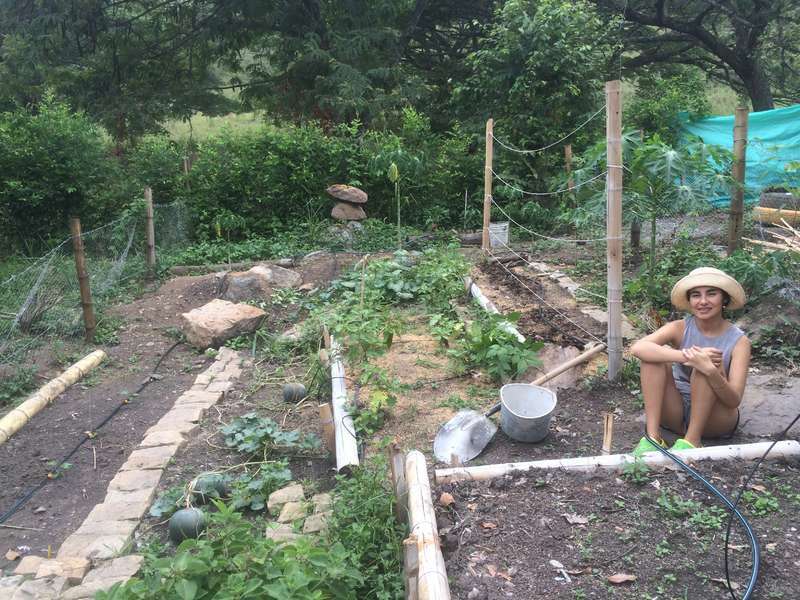 If you’re interested in self-sufficient farming, Colombian culture, and taking life at a slower pace whilst also getting stuck into your work, then I couldn’t recommend this experience more. Max spent around 2 weeks with us. He’s very hardworking and has good understanding of many technical works and knows to use many different tools. Thanks max and good luck with your search! 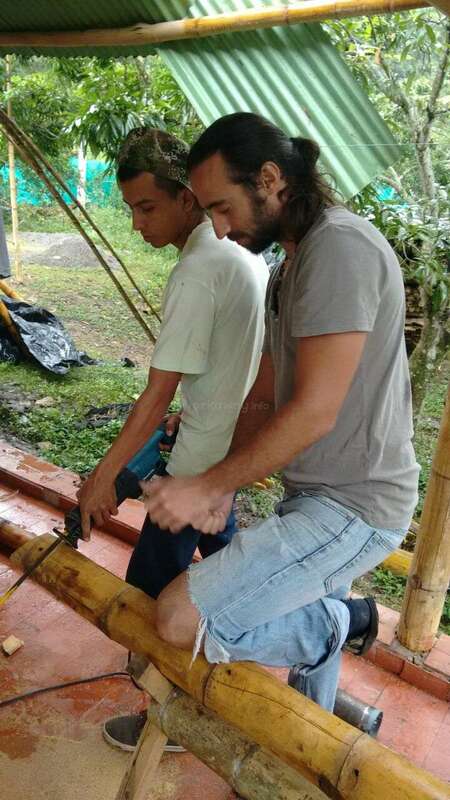 Thank you Eyal for teaching me about bamboo construction and yoga. You have created a relaxed atmosphere at the farm - it is a place to find happiness. Thank you Sara for your delicious meals and for making me want to eat vegetarian food now! I hope to find another Workaway like this one. Good luck to you and Natalia on your adventure with this… read more project. it was a total privilege to host you! This was my first Workaway experience, and it was phenomenal! Natalia and Eyal are two of the best people I met while in Colombia - having been volunteers themselves, they really try to create an experience that is comfortable and encourages growth, while being so in tune to the needs of the volunteers. The tasks at the farm vary, from gathering… read more mangoes, pulping mangoes, gardening, trimming trees, building stone pathways, teaching English at the local school, and more. This variety allows you to learn SO much, while never getting bored! The schedule is really balanced, with yoga to start the day, a few hours of work, siesta, a couple more hours of work, and plenty of down time in the evenings. Eyal encouraged us all to try each task, and for this I am so grateful as I had the opportunity to gain new skills, try new tools, and learn so much, which has left me feeling so empowered. Natalia is so caring and loving - on my last day there she cooked us pasta because she knew it was my absolute favourite! They both are so supportive and carry a lighthearted attitude - there's never any need to worry, never any need to rush. I am so thankful to them both for this opportunity, and would recommend it to anyone! Un trabajo, a veces un poco fisico, pero en la alegria, la diversidad de tareas, el respeto y con musica ! Dos anfitriones atentos, acogedores y alegres ! Un comparte sensible y auténtico ! quentin and maeve were really awesome to host. they where very helpful and did a big variety of tasks such as building a stone path, trimming trees, picking mangos, taking care of the animals, weeding, pulp making, they built a reck for drying colth, planted a bative forest patch and many more things that i can't remember right now :) they were… read more also excellent company for playing cards, cooking and hanging out. all the best in your future adventures! Thank you Eyal and Natalia for an amazing two weeks! The surroundings are beautiful and Sara's hearty and tasty meals are perfect after a hard day's work! The work was varied and we learned a lot. Eyal and Natalia have many ongoing projects and great ideas so there is always something new to accomplish. They are really friendly and we felt at home… read more straight away (we especially enjoyed the Salsa class). There is still lots of time during the day to practice yoga and relax and we never felt in a rush. Big kisses to the dogs, Lola and Manolo (we hope you get better soon)! petr and petra, besides having easy names to remember :) we're really awesome volunteers. petr is very crafty and dedicated and great photographer. many times he kept working after working hours for the sake finishing the task just for his own fun and interest. he built 2 beautiful viking wooden chairs, metal and bamboo tools for the out doors… read more oven and different smaller tasks. petra was caring for the animals, picking mangos, trimming trees, maintaining our litlle cacao plantation. together they planted and decorated a succulents garden and helped with planting a native forest patch at our farm. we're really grateful for their help and company and highly recommend them to other projects! We couldn't be more lucky for our first workaway. 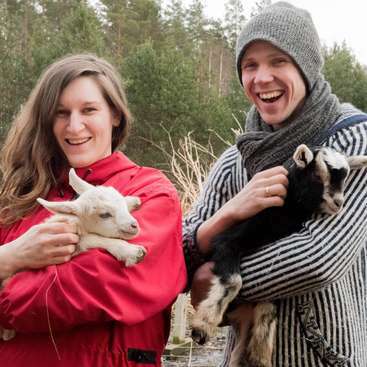 Natalia & Eyal welcomed us with open hearts and arms and let us feel in their beautiful farm as it was our home. We learnt new skills, many things about Colombia and organic farming and enjoyed being around their lovely animals. The food from Sara was delicious, outdoor shower was spectacular, and… read more Petra`s dream of having donkey came through at least for two weeks. Their schedule is well thought through, you always have time for yourself, but even for enjoying to be with them and other volunteers. Every day was different and we had always something interesting in plan to do. We took away many ideas for our future projects. At last, if you want to have any chance in winning playing cards or table games with Natalia & Eyal, be prepared to bring out your best skills! :) Good luck with your future projects and take care guys. Diana stayied with us for 2 weeks. she was very helfull ,hardworking and very nice to spend time with. a very responsible person, highly recomended !!! alex and pia stayed with us for 3 weeks. they where excellent! they where incharge of the animals and the veggie garden. they also helped us with seting the posts for a metal shed, setting some filters in the river for our irrigation system, making a stone path, picking mandarines and oranges and making a fence for the garden. I had a great time here and learned a lot, we picked citrus (come during mango season!) and had a few different building projects. The house and property are beautiful and relaxing. Eyal and Natalia were great and the meals provided were wonderful. I ended up staying longer than initialy planned. I would recommend this host to anyone, especially… read more if you like yoga, nature, and or animals. Excellent guy. Very responsible and nice. Highly recommended! I stayed in this beautiful farm for 1 month and I loved it. The food from Sara was amazing, she cooks hearty vegetarian meals, perfect after a session of physical work. I did different types of work such as building a stone path and bridge, gardening, trimming grass and trees and looking after the animals. Thank you Eyal and Natalia for having… read more me. I also miss the animals. Hopefully we will have a chance to work together again. Eyal and Natalia are very friendly and open people. 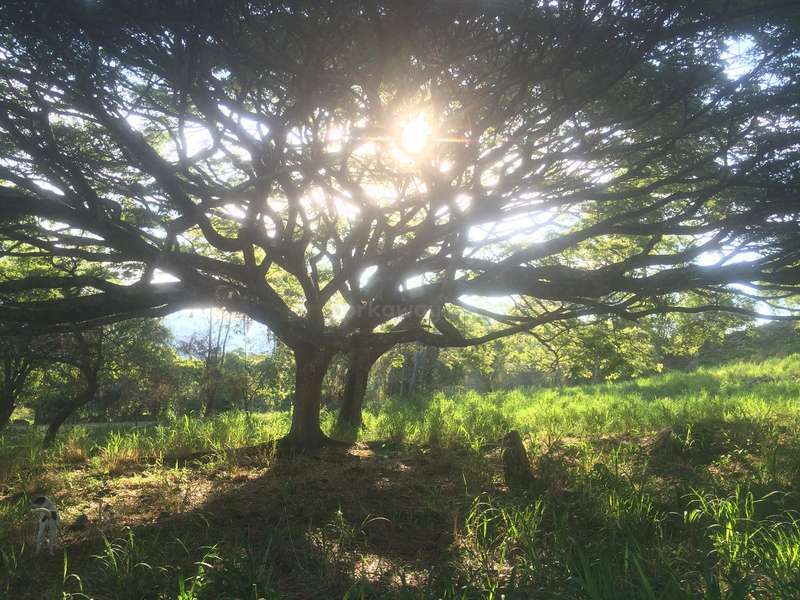 Farm is located in a beautiful spot with great view on Anapoima. Work was sometimes very hard but we learned sth about building with stones and gardening. Veggie food cooked by Sara during week was extremely tasty and made us full for most of the day. During weekends we had different country… read more kitchen cooked by everyone. We did polish barszcz and placki :) Bamboo house is beautiful and spacious full of friendly animals except mosquitos. We were supposed to stay one week but they allowed us to stay in total two weeks, which was really nice. We had an opportunity to make own chocolate from real cocoa beans- that was awesome! One day we helped with group of local kids, which was nice and new experience. The only con was paid Internet with average range in our bedroom. Beside that we fully recommend this place to go, work and enjoy country side lifestyle! Thank you guys for everything! zoe stayied with us for 2 weeks. she was very helfull and hardworking and very nice to spend time with. I spent two weeks here and had a great experience. Eyal and Natalia are very kind. We worked mostly on building a stone walkway towards the yoga pavilion. Difficult but rewarding! I feel like I really learned something about rock wor. Every morning we would practice yoga before beginning the days activities, which was wonderful. Sara cooks during… read more the week and her food is delicious! Other than the stone path, I helped with various other tasks at the farm, liking planting seeds in the garden, weed whacking, feeding the animals. The work is physical but enjoyable and the place is absolutely beautiful. We also had a few capoeira lessons after work which was super neat. My last weekend there, I helped Sara cook for a yoga retreat they hosted. I really enjoyed learning from the super chef Sara and cooking up some healthy meals for the guests. My only suggestion for them would be to expand the huerta to produce more veggies themselves! Lots of potential. Thank you Eyal and Natalia for a lovely stay. Send my greetings to the furry friends, especially Ras Tas Tas! This was the last workaway of our world trip and we couldn't have hoped for a better place to end this incredible journey. this place is an absolute gem. We unfortunately didn't get to meet Eyal but Natalia was on top of everything and guided us beautifully throughout our experience there. The working hours are perfectly spread out, tasks are… read more clear, equally divided and very well organized. There is a lot to do, a lot to share, and a lot to learn from this inspirational couple. Each meal was an absolute pleasure and we enjoyed spending our time on the farm during our free hours. We head back home with memories of an amazing week near Anapoima, hoping to come back soon for a longer period of time. Thank you so much for having us! Natalia and Eyal are so welcoming and we had an amazing time during our 10 day stay here! The work was varied and interesting, they are both always involved and helpful and happy to listen to suggestions. We will miss you guys and the rest of the family, Rastastas, Lola, Monolo, Shula, Luchi and Margarita!! We had a lovely week at Eyal and Natalia's beautiful Mango Plantation. The work was varied, food delicious and daily yoga - a great way to start the day. Lots of lovely animals too and a wonderful bamboo house! Highly recommend, thank you! I stayed one week at Eyal and Natalia ´s place, and i loved it! I really had a sweet time, thanks to both of you! Diane and robin helped us in the vegetable garden, building our office furniture out pallet wood, feeding the animals, teaching English to the local community. Highly recommended project ! Natalia and Eyal's involvement in their project is inspiring, the bamboo place is amazing and the vegetarian food so delicious ! We learnt and sweat a lot in only one week : it was too short ! :) good luck for everything, see you soon ! We spent a great week on Eyal and Natalia's plantation. They're undertaking a great project with a lot of ambition and passion thrown into the mix. The food here is also fantastic. Thank you so much for keeping us well fed with your tasty dishes Sara. We were never short of work which made the workaway very rewarding. The pets are super friendly.… read more Purple paw we miss you. Una experiencia increible : la vida cotidiana es muy bien organizada, el trabajo es muy interesante y tenemos varios cosas a hacer (eco construccion, huerta, recoleccion de frutos, tener cuidado de los animales...). La vida es agradable tambien : teniamos cursos de yoga para empezar el dia, teniamos tiempo libre a partir de las 4 cada dia y el… read more lugar es maravillosa para disfrutar y descansar al fines de dias. Las comidas fueron perfectas cada vez y disfrutamos de compartir con buenas conversaciones. ¡ Que bella la vida alla ! We had a great 2 weeks with Eyal and Natalia. They have made themsleves a beautiful paradise to live in and are surrounded by animals and nature. A great place to learn about a different way of living and feel like you are giving back to the world a bit! The work we did was varied, if you have specific skills, you definitely have a chance to show… read more them off here! The working hours are fair and the food Sara prepare's is soooo tasty! Fantastic change of pace for us, we couldn't have asked for a better first workaway experience. Thanks so much guys! We wish you all the best in the future and will be looking out new projects you're working on! vanessa, thank you so much for your feedback! i wish you all the best on your journeys and highly recommend you for any host on this platform! As the feedback shows, if you have a heart...they will steal it for sure. 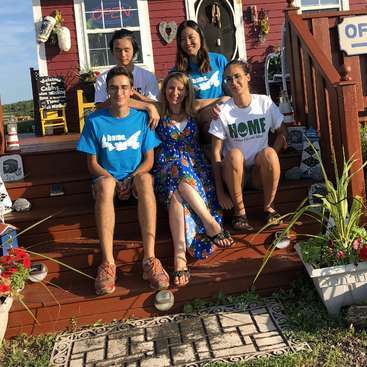 It felt very special to be part of Natalia and Eyal's beautiful project and learn from the nurturing, energized and compassionate way in which they live. The place itself is a paradise, Sara's food is healthy and delicious and the work is varied and interesting. You will be… read more inspired to work hard and use your creativity. I can only hope the chickens recover from the broodiness and don't have nightmares about the cold water baths I gave them. Thank you for all the yoga, the salsa and the inspiration. it was a pleasure spending time with you and working by your side. wish you good luck on your journey ! It was an amazing experience to be part of the life on the farm. I really got only positive memories about my stay and enjoyed the different kinds work a lot. Not only the place is amazing but also the people, animals and the food. 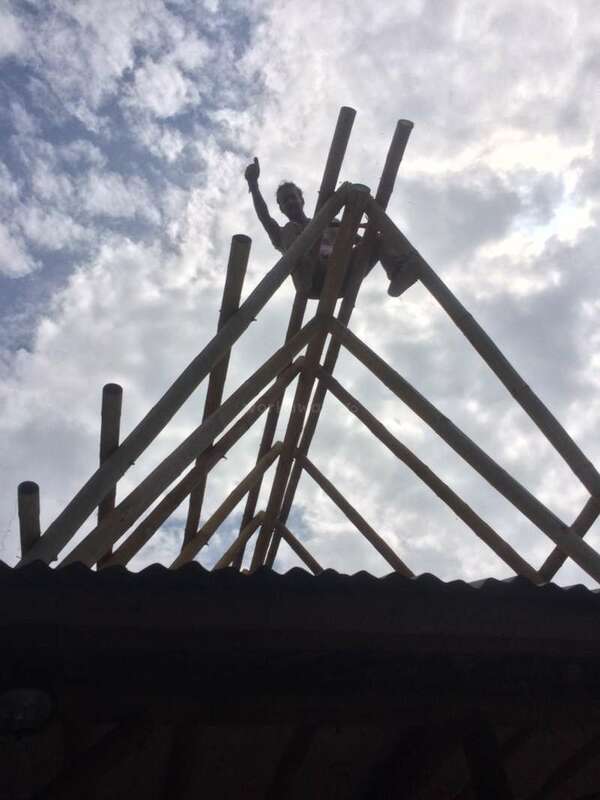 So happy that I could stay to finish the roof! Eyal & Natalia thanks for everything! you help is very appreciated and we had an amazing time. We had an amazing stay in the farm of Nathalia and Eyal. The house and the view were incredible, food delicious, the help was very varied (mango picking, gardening, construction, making of pulpa...) and they payed attention at what we wanted to do. But most important, Nathalia and Eyal were both amazing, so kind, funny and generous people. They… read more showed us a different way of living that we are gonna try to achieve one day. Thank you for everything! we enjoyed very much your openness and joy. Wow! What a beautiful experience I had with Eyal and Natalia. I can only echo all the good feedback. An incredible farm with a great atmosphere, beautiful people and a lovely donkey. The working hours and atmosphere is very unpressured and relaxed and you will still always get the job done. They put a lot of trust and responsability in their… read more volunteers. The two of them are willing to share their experience and are truly interested in their guests which I highly appreciated. I felt more like a friend helping out, then a worker. Spending time on their finca is a treat and a big recommendation. Pasamos 2 semanas en este hermoso proyecto. 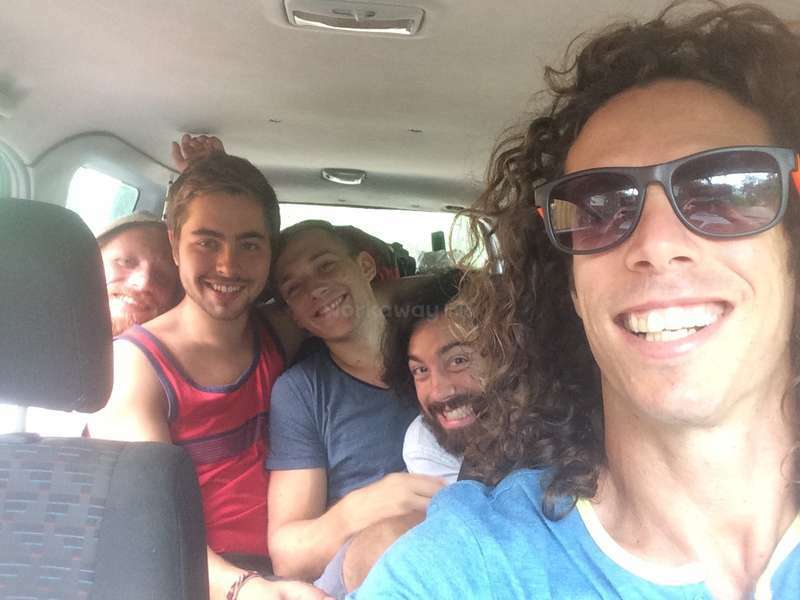 Eyal no se encontraba en Colombia. Natalia nos recibió con amabilidad y nos explicó cada detalle con mucha paciencia. El lugar es fantástico y los días son muy bellos y tranquilos. La finca es bastante grande y, en los alrededores, hay bonitos paseos y vistas magníficas. Ayudamos con el mango, la… read more huerta, las gallinas, las mascotas y guadañando. Natalia maneja muy bien el proyecto, da instrucciones precisas y cuida muy bien de los voluntarios. Es un placer hacer voluntariado en esta finca. La comida es uno de los puntos fuertes del proyecto. Disfrutamos de las maravillas que Sara (la cocinera) nos preparaba cada día y se trata de algunos de los mejores platos que probamos durante nuestro viaje. Todo vegetariano y muy sano. La comida del fin de semana está a cargo de los voluntarios. Además, tuvimos la suerte de conocer a la familia de Natalia. Gente linda y alegre con la que compartimos momentos muy divertidos. Gracias, Natalia, por todo y esperamos poder volver a verles algún día. Very quick learner, very dedicated worker, the chickens and Lola miss u still. Eyal and Natalia Im sorry I'm leaving this so late! I had the greatest time staying on your beautiful farm. Thank you for being my first workaway host! I got to learn lots of really cool things from knots to using power tools and improving my cooking! I loved helping build the maloca and look forward to seeing the pictures from when it is… read more completed. 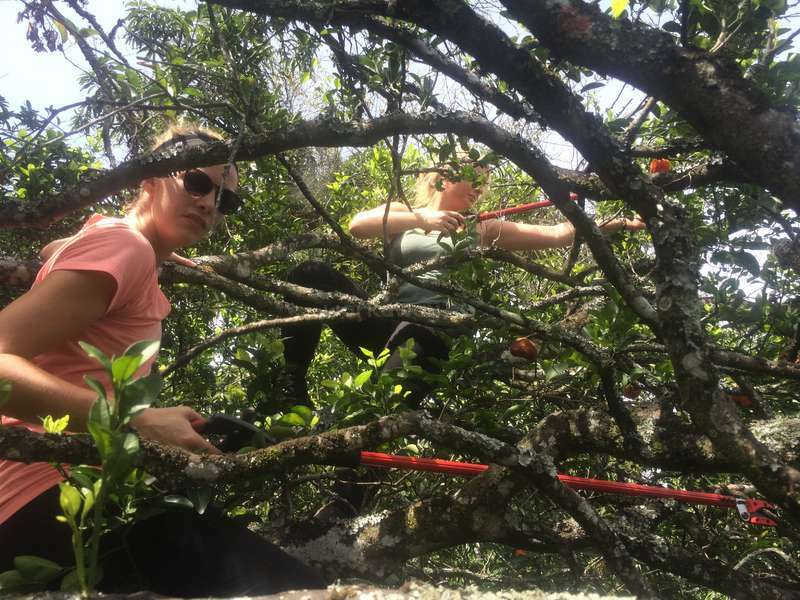 The work is varied with gardening (strimming is the best), animal care, construction, fruit picking and Eyal and Natalia make sure that you are enjoying the work and it isn't getting repetitive. The food is definitely a highlight. Sara really is an incredible chef! Always fantastic meals and something different each time its unbelievable! Jenny is a hard worker and don't have any problem with sweating. She also helped us building and promoting our web page which is amazing. I spent 2.5 weeks at the farm and thoroughly enjoyed it! The work varied day to day. I've done grounds keeping (weeding/strimming), gardening, building fences, picking oranges, digging trenches, feeding the dogs and cats. Also helped Eyal build a website for the farm. Sara cooks such good vegetarian food which has further my progression into… read more becoming vegetarian! On the weekends we cooked together. It's a beautiful place and I will definitely miss it (and the animals!). Thank you Eyal and Natalia for having me! it was really a privilege to spend time with you! in your time with us i feel you learned a lot and it's because you were very receptive and interested in the work and always trying to it in the best way possible. They have a Gorgeous Bamboo House with nice view point on Anapoima, a big garden mainly full of mango and tangerine tree, and also few animals. It's really a peacefull and beautifull place. It was really interesting and I learn a lot. I appreciate also that Eyal always ask if you're fine with The job you do, if you want change, if you prefer work in The garden or Building..
And try to propose a job different in The afternoon. So always you get involved and it's never Boring! Usually when it's possible, we have also a free organic culture courses, Tuesday in the afternoon. Saturday and sunday are Day off or you can do whatever you want, visiting around Anapoima, cook yourself and share a specialty from your country or just Have a rest. Big thanks also to the Friends / family of Nathalya y Eyal amazing people really interesting we get a lot of fun with them. I learned a lot about working with bamboo and about construction in general while helping with this project! I like that Eyal would teach me how to do a task and then trust me to perform the task while giving positive feedback. Accommodations are clean and the area is beautiful. I enjoyed meeting and getting to know Eyal, Natalia, Sara, their… read more animals, their friends, and other Workawayers! I mixed concrete, used an electric handsaw to cut metal screws, picked oranges, cut grass to feed Margarita (the donkey), worked in the garden, etc. There is a small pool, river, and plenty of nature to enjoy in the evenings. Eyal and Natalia made delicious pizzas for everyone on Saturday night! I enjoyed sharing expierences and meals with everyone at this project. Thank you Eyal and Natalia for the opportunity to work on your project. I wish you well with all future projects! We spent two wonderful weeks in Natalia and Eyal's farm, delicious food, easy work and beautiful landscape. Work is from 9am to 12 am and 1pm to 4pm. We recommand. Dasha we loved having you with us! Dasha stayed with us for 2 weeks and did jobs like mango picking, metal cutting and bending and she even made a small Woden name plaque for our dog .all of that with out previous experience. She was always up for the work and fun to hangout with. Natalia, Eyal thank you soo much for an oppotunity to live in paradise! I've stayed in the farm for 2 weeks and enjoyed every minute of it! The place itself is really beautiful. Mango forest and huge bamboo house with hammocks outside. The food is amazing, Sara is the best cook ever! There re normally 4 volunteers at a time and there re two rooms… read more with a shared bathroom. The place is super clean and cozy. The work includes collececting mangos and constrution. I did a lot of things for the first time in my life and it appeared that it's not that difficult to cut metal for example. Loved this experience! And as always the best part is people. The owners of the farm Eyal and Natalia are super nice, interesting people, you can learn a lot from them. I was really happy to have a great team of volunteers! We spend a lot if time just talking and it was great. Apart from the farm there s small town Anapoima (20-30 mins by collectivo) where you can buy staff and find an internet cafe. Also there s a bar Rumba, if you like dancing you definetly should go there:) And don't miss an oppotunity to visit a river, you'll have a lot of fun! Again muchas gracias Eyal y Natalia!!! Highly recommend this place! We loved so much having and felt bad that we couldn't have you longer. But just so u know that u were great and it was just because we had no space. This place is amazing. So beautiful house, nature, food and people. I'm sad i had to leave after only one week due to lack of space. I hope i can come back again. Thanks for a great week Eyal, Sarah and the other volunteers! Thanks for your hard work and willingness to learn and collaborate. This was my first workaway experience and it was absolutely wonderful. The finca is breathtaking, the work is engaging but never too intense, and Eyal, Natalia, and the whole family are incredibly kind and welcoming. Many cute animals running around as well. Muchas gracias por todos... una experiencia inolvidable. My partner Jon and I had a really amazing experience at Natalia and Eyal's home. All of their animals are so sweet and loving. There is always someone to play with. The food is amazing! A big Thank You to Sarah for that! Eyal and Natalia made us feel at home and comfortable at their place. They trusted us to build projects on our own, and they… read more provided us with advice and the right tools when needed. We also got to pick a lot of mangos while we were there! With this came a lot of delicious mango juice. 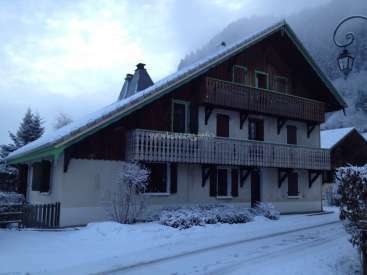 The farm is in a serene and quiet place, but you are able to get to town very easily by foot or with public transport. Habib ! its was really nice to have you aroud with your good energy and help! we wich you the best! many thanks! My stay at this farm was my first WW experience and I am very thankfull for it. Nathalia and Eyal are verry nice people with amazing projects. It was the mango season so i picked some mangos, we did some general maintenance and pet washing. Work was fun, acomodation clean and the vegetarian food delicous. Eyal took us to a river for a swin. we… read more had an impro jam session in the evening and some caipoera mooves. I shared some pricless moments with the hosts and the volunteers during this week. I recommend this farm and hope all the best for Nathalia and Eyal. Alejandro we're waiting for your visit. We'll make a pizza party. Good luck on your projects as well and thank you for all your hard work. I spent a week with Natalia and Eyal, in their beautiful home. They were super lovely, and i had different tasks arround the day. The food is delicious and super healthy. I hope to come back some day, and eat a good pizza in that wood stove we have been building! Good luck, and go on with all your great projects guys! We apriciate your hard work and dedication, sometimes working after working hours and always willing to help. Eyal and Natalia are kind hosts. The house and property is absolutely gorgeous and the food is the BEST that we have had during our entire time of traveling (thanks Sara!). We really loved the work; it's nice to work with someone that has a plan (and tools woo!) We built gravel steps, helped lay bricks for an outdoor oven, and of course picked… read more mangos! The is physical (typical farm work) but the hours were never that long. Thank you Eyal, Natalia and Sara for everything and really helping us improve our Spanish! Good luck with everything. Thank you for al the hard work, for your pleasant vibe, and for your time with us. In the beginning I was concerned of hosting someone so young but was surprised from your sense of responsibility and hard work. Thanks so much Natalie and Eyal! It felt like home living with you! The Food was deeelicios, Special thanks to Sarah. Every day i had different tasks to do and the amazing finca has many lovely animals. The Ambiente is stunning! It was hard to leave this place! One day i will come back! Estuve en la finca por tres semanas, estaba una experiencia inolvidable. Eyal y Natalia son personas muy generosas y llenas de vida. El trabajo fue duro pero siempre gratificante y variado. He aprendido muchas nuevas cosas y pude mejorar mi español. Ademas encontre muchos otros voluntarios. Thank you Eyal and Natalia for a brilliant 2 weeks, I had a wonderful time! I only have positive things to say. You were very kind and hospitable hosts and it was a pleasure to meet you both. The house is incredible and the surroundings are beautiful. I thoroughly enjoyed the work - I was mainly working on building a canal and starting the… read more process of the outdoor kitchen for their planned restaurant, but also did some orange picking. Eyal was great to work with and I never felt under pressure, which meant the work environment was relaxed, but we definitely worked hard. The food made by the cook Sarah was delicious, and a definite bonus. We also did lots of activities outside of work including visiting nearby towns, going to a natural water slide, going to a castle and using their natural pool, visiting a mango factory, teaching and playing football at a school. An excellent selection which meant there was never a dull moment. They have many interesting plans for the farm. I can only recommend people to go help out, you won't regret it! Thank you Barney for spending time with us. We enjoyed it a lot. We appreciate your commitment, curiosity, hard work and fast learning abilities. We are sure that any project that will decide to host you in the future will be highly rewarded by your presence and contribution to it. And hope to see you again! Thank you for your feedback Eyal. I am so happy to have had my first Workaway experience with you and Natalya . Over the whole time there was a positive and productive atmosphere in which we could work without any stress. The activities varied so it never got boring and in our time off we went to went to cool places and had an amazing time… read more together. Additionally the accommodation and especially the food was excellent! It was great having you in our home. We enjoyed your company and thank you so much for all the hard work and energy you invested in our project for 2 weeks. Thank you so much for your sharing time with us. Thank you for your commitment, hard work and fun times. Thank you so much for your comment. It was amazing having you. We appreciate very much your sense of responsibility and your willingness and ability to learn new things. It was extremely helpful to be able to have you in charge of other volunteers. It was so great to stay for 2 weeks at Eyal&Natalia's place! La Esmeralda is such a paradise! Maybe one on the most beautiful place a ever seen in South America. Both are very nice, fun and very interesting people. We can learn a lot working with them and we're never bored because there are so many project to work with! Should i add that i recomend it? A great thank you to Eyal for his welcoming and to Sara for the delicious vegetarian food she prepares!!! I learned a lot, especially in bamboo construction. The carpenter, Faruk, was really patient with me! The house is amazing and the landscape is beautiful. I stayed only 2 weeks, and I wish I could have stayed more! Aubrey thanks so much about your kind words. Thank you for being so dedicated and giving your best. Our garden appreciates it. Good luck on your journeys. The space that has been created here is nothing short of beautiful! Soooo unfortunately I was only able to be here for 2.5 days, but I loved it- all of it- and wish I could have stayed longer! The help is varied as there are many projects going on- its fun and Eyal is very knowledgeable and has many great ideas! The garden is wonderful, and I was… read more able to spend a lot of my time there! Sara, the sweet lady who cooks is excellent, and all her meals were perfect! The donkey is truly awesome :) thanks so much Eyal for opening up your space to me, I really enjoyed my time with you, the lovely space and energy you've created, and of course, Margarita :) I wish you nothing but the best with everything! ! dave, it was really a privilege having you. we thank you for investing your self in our project . we enjoyed spending time with you and knowing you. we are sure that any project out there can really use your kindness and hardwork! A supernice Place with lot's of things you can do and especially wonderfull People and sweet animals. It was my first workaway and I was really impressed how fast i was fealing at home. Good accomodation and the food is delicious like in a restaurant and also healthy. Eyal and Natalia created a place with wonderfull athmosphere. A very nice… read more project, which needs creativity and menpower to get this wonderfull how its suppose to be. Can highly recommend this place. Thanks a lot for having me guys. Nicolas thanks so much for your warm word. We were really touched to read your comment. We wish u all the best in your travels and highly recommend you !! Amazing people with a great vibe! The farm is beautiful and the bamboohouse a fantastic project. Work depends on what you are up for and was fun. 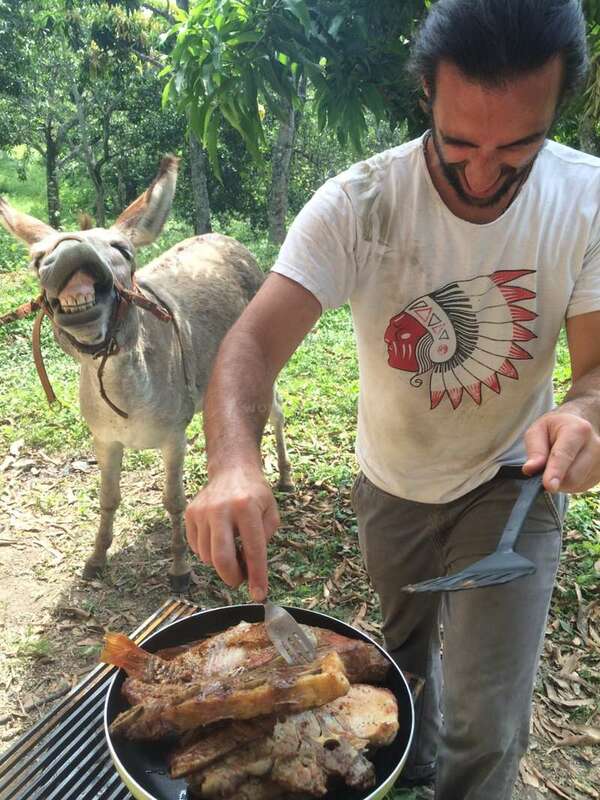 There are a bunch of friendly animals on the farm, including a donky ;). The accomodation was clean and the food fantastic. It was a place full of happy vibes and I can just recommend anyone to go.… read more Thanks for having us and stay the way you are guys!